Let The Sun Shine Bright! Geleen, 18 January 2019 - How convenient would it be to use sunlight to heat our buildings? Or to power our lights? Maybe even power our computers and the PCB machines in our workshop? Well, that is exactly what we do! With our new solar panels, we generate our own energy to power our offices, workshop and storage. Sunshine literally flows through our business! Solar energy is one of the fastest growing technologies. Worldwide, more businesses and houses line their roofs with solar panels to generate their own (technically free) power. Besides the lower energy costs, the environmental impact arouses a lot of interest as solar panels reduce their environmental footprint drastically. On the contrary to what is often thought, it's not a new technology! The first solar cell was developed in the 19th century, with an efficiency of 1%. Currently, most solar panels have a efficiency of 15-20%, with some commercial panels reaching 40%. The technology is improving, and the prices are dropping. Solar Photovoltaic (PV) Panels are made of crystalline silicon solar cells. Each silicon atom is connected with four strong bonds to the neighboring atoms to keep them in place. One half of the cell consists of negative-type silicon, which has extra electrons. The other side consists of positive-type silicon and has extra space for electrons. The photons - the energy that the sun releases - are captured by a solar panel. As a photon hits the solar cell, it splits the electrons loose from the atoms' bond. The negative electron moves to the negative-type side, while the positive photon moves to the positive-type side. If conductors are connected to the positive and negative sides of the cell, it forms an electrical circuit as the cell wants to become neutral again. The electron moves through the circuit creating energy before filling the positive 'hole' created by the photon. The cell is then back to normal and can be reused. The form of electricity generated this way is called Direct Current, also known as DC. In a DC, the electrons flow in one direction in the circuit. For example, a battery powering a lightbulb: the electrons travel from the negative side through the lightbulb to the positive side. Is this the energy that charges our laptops and smartphones? No. An inverter turns the DC into the local power grid standard, such as AC in the USA and UCTE in Europe. Inverters also track information about the solar panels, such as the amount of energy being generated, how much you have used and the excess amount that is transferred back into the grid. There are two types of inverters. The 'oldest' type is the central inverter, where the entire system of solar panels is controlled by one inverter. Unfortunately this system does not allow every panel to work at its full capacity at all times. If there is a problem with just one panel in the system, for example one panel is in the shade of another building, this lowers the production of the entire system. The fairly new micro-inverters tackle this problem by controlling each panel individually. This allows every panel to work at full potential, without being influenced by other panels. 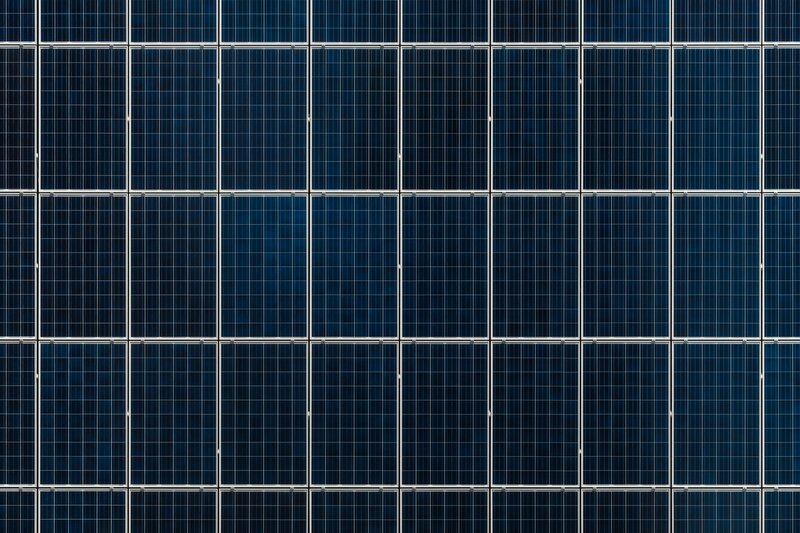 In a typical grid-tied PV system, the panels produce more energy than a consumer can use during peak daylight hours. This excess energy is fed back into the grid for others to use, not letting any energy go to waste. It's a small step to become more sustainable and minimalize our environmental footstep, but it makes a big difference for the planet we are living on. So let the sun shine! Do You Feel The Power In The Air? Four facts about circuit boards you probably didn't know.